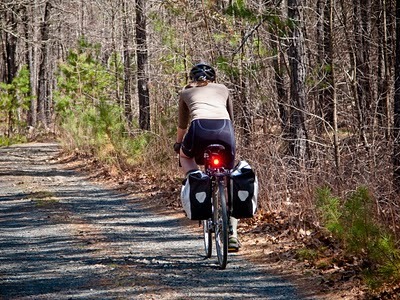 I keep thinking I'd like to try a long ride on the endless gravel roads in the National Forest near here. 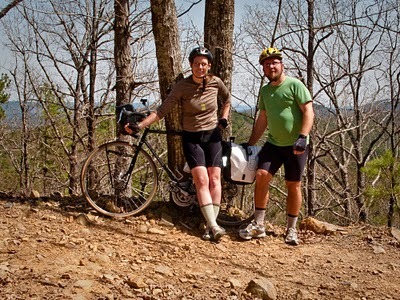 Sure, the surface is rougher, the hills are steeper, and there aren't any sandwich shops. But wouldn't it be nice to ride all day without getting crowded off the road by an angry pickup? 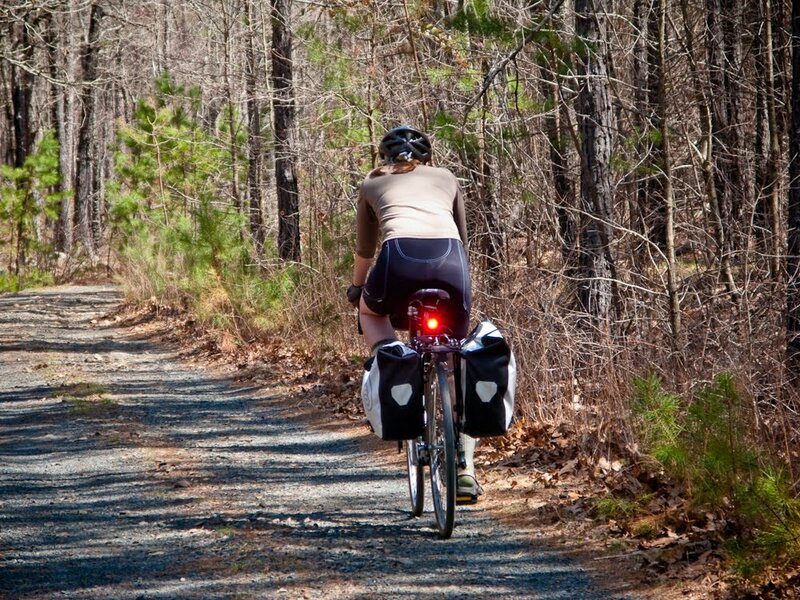 The prize of the day was finding a usually-gated road, on a gentle, miles-long downhill, with small packed gravel that reminded me a little of the smooth Katy Trail in Missouri. We found a beautiful campsite next to a clear green stream. Shortly after lunch, though, our perfect road turned to a jeep track with rock chunks the size of cats' heads. The wide, flat puddles got bigger. There were stream crossings. I hadn't signed up for mountain biking, so I walked the larger portion of this part of the road. Bryan and his hybrid Giant, on the other hand, had a great time cruising through puddles and dodging rocks. 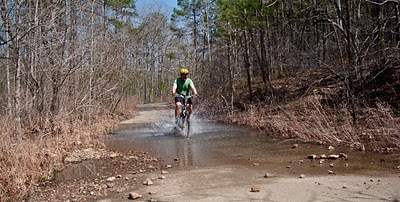 I don't think I'm cut out for mountain biking: sometimes two wheels just doesn't seem as practical as two feet. But the smoother parts of the day were lots of fun, and we'll definitely ride in the forest again.